Clover & Tire silk thread for sewing and kumihimo. Clover and Tire silk thread, made in Japan, is very similar to the traditional silk kumihimo thread that comes in bundles. However, it doesn't have the disadvantage of being pre-cut, and coming in hard-to-handle hanks that tangle easily. Tire and Clover threads are made in Japan. 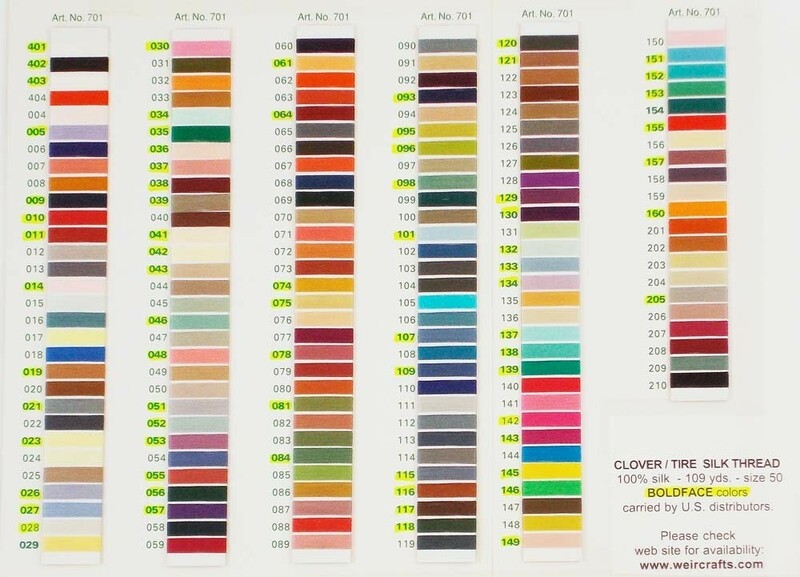 A photocopy sheet showing all the colors of the silk thread.